The technology that has come out to be extremely awe-inspiring and beneficial to learners is the Virtual Reality. This gradually earning global attention, is found to have huge beneficial impact on the minds of the knowledge diggers. Learners being trained on a particular machine using the normal on the job methods is quite common, but this way of learning tend to be more time and cost driven. It enables learners to virtually learn how to perform a particular task or operate a machine and extend their skills with real time application of capabilities. The best part to this is that they are learning in virtual environment which is in-line with their actual work. Virtual reality in learning benefits learning belonging to variety of combinations, be it engineering, or mechanics or operation of a machinery or in fact compliance needs of the organization. It is a common belief that learners tend to learn faster if they look at something and experience it practically rather than just by a set of self paced sessions. This hits at those aspects of learning which cannot be achieved through purely self pace approach. Learning is interlinked with technology and this synergy has been able to affect the lives of millions. Corporate learning has experienced a transition in past few years. And this new innovative way of learning with maximum utilization of technology has been able to bring a revolutionary change in the style of learning. This has opened a new window for learners, giving them the opportunity to try new things and learn something new all the time. This has come out to be an unconventional approach to the traditional way of learning in organizations. 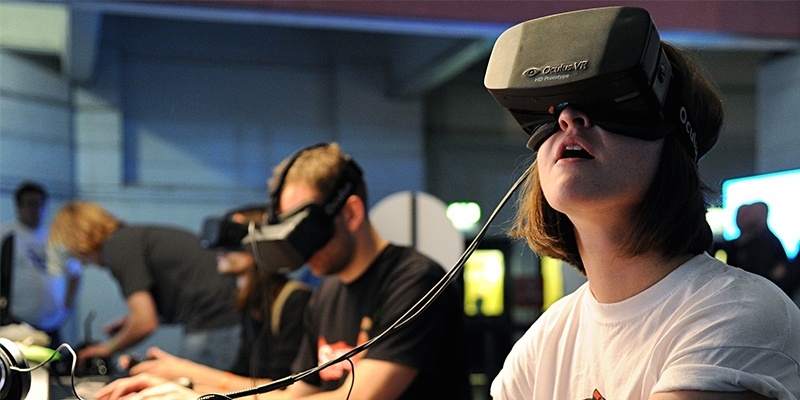 In virtual reality, learning is based on real time use cases. Learners can choose the way they want to learn and use technology to learn better. To learn with effectiveness and with satisfaction is what Virtual reality aims at achieving. There are several benefits of introducing it into your corporate learning landscape. Collaboration among the learners make them more socially integrated and advanced, refining and changing the way they think and deliver work. Things that are not possible in reality become extremely easy through it. It tends to become more inexpensive and a highly efficient mode of learning. More of an entertainment plus learning exercise, virtual learning is where learners are made to learn through gamified approach based on their real time use cases. As a result, learners tend to learn faster and they can also apply their learning in the virtual environment which ultimately leads to faster and efficient deliver-ability. Virtual learning comes with extraordinary rewards. Failures can be absolutely ignored with induction of these aspects into your learning process. The reward that virtual learning gives is the motivation of the learners, their desire to learn in depth and as well as implementation of their learning into the virtual environment. Learners tend to work more efficiently and tend to deliver quality results in a short span. Virtual learning environments make the learner more effective as they tend to implement their real time process before it is actually applied in their work. 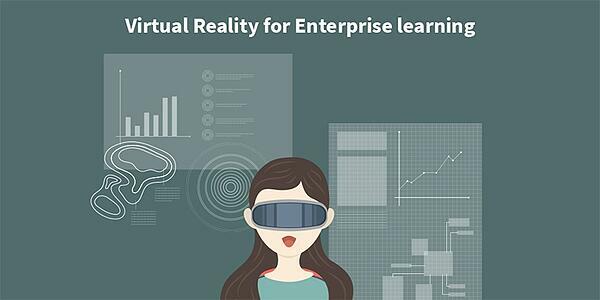 Thus, introduction of virtual reality aspects into learning is changing the corporate learning landscape, having a very positive impact on enterprise learning, which will add high value among learners and increase retention.